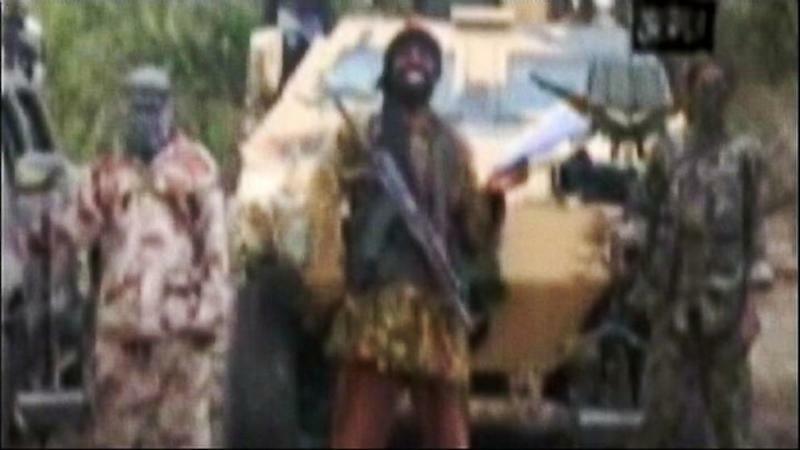 WASHINGTON - Disagreements over how big of a threat Nigeria's Boko Haram extremists posed to the West delayed the group's designation as a top global terrorist group for years, current and former officials told ABC News this week. Boko Haram, a loose band of ultra-violent Islamists that kidnapped more than 200 schoolgirls last week who they have promised to sell into slavery, was formally designated a Foreign Terrorist Organization in November 2013, two years after some lawmakers and others inside U.S. counter-terrorism programs called for it to be taken more seriously, the officials said. "At the time -- and I still think it's very true -- we didn't move on Boko Haram because we thought it would give them a recruitment boost," former Obama administration Undersecretary of State for African Affairs Johnnie Carson told ABC News on Thursday. The disagreements within and between the Departments of State, Justice, Treasury and Defense stymied efforts by some, including the Special Operations community and U.S. Africa Command -- the Pentagon's combatant command for the continent -- who wanted to target Boko Haram for surveillance, human intelligence penetration and possibly even lethal action just as they had other al Qaeda-aligned terrorists. "Special Operations Command and others tried to elevate the status of Boko Haram to a Tier One Threat Group several times, only to be shot down by State," said a senior official familiar with the policy debate. The refusal was based on State Department officials' belief between 2010 and 2012 that Boko Haram was not a transnational threat outside of Nigeria or a direct threat to the U.S. homeland, officials told ABC News. The Daily Beast reported Thursday that the FBI, CIA and Justice Department pushed for FTO designation for Boko Haram in 2011 after a bombing at the United Nations office in Nigeria. Clinton aides at the State Department resisted, the report said. But in June 2012 -- 17 months before declaring the entire Boko Haram organization as an "FTO" and three years after its formation in Nigeria -- the U.S. designated its top leader Abubakr Shekau and two other commanders for sanctions, mostly to block "property interests subject to U.S. jurisdiction and prohibit U.S. persons from engaging in transactions with or for the benefit of these individuals." Carson declined to comment on U.S. military strategy or tactical requests, but denied that any resistance to elevating the group's importance as a more severe global terror threat meant that the State Department under then-Secretary Hillary Clinton meant they were asleep at the switch, as critics have alleged. "We engaged the Nigerians quite extensively. Not being on the [FTO] list didn't inhibit our ability to help," said Carson, who left office in May 2013. "It could evolve over time, but [Boko Haram] is not a threat today to the homeland." Calling out Boko Haram earlier could have drawn "global jihadaist support" to what was primarily a Nigeria-focused terror group bent on undermining and embarrassing President Goodluck Jonathan's government, and also might have put the terrorists' crosshairs on Americans, Carson added. "We also were concerned that it associated us very closely with what have proven to be unsuccessful Nigerian policies... like human rights violations by the Nigerian military" in northeastern Nigeria counterterrorism sweeps, he told ABC News in the interview Thursday. Human rights groups agree that the Nigerian government has had an abysmal record in how they've confronted the growing Boko Haram problem. In 2012 Human Rights Watch published a scathing report criticizing the government for simultaneously cracking down on the northern Muslim population -- the fifth largest in the world -- with numerous accounts of the military attacking civilians and destroying their property en masse in the name of fighting Boko Haram, while not actually making the area safer. Today U.S. State Department spokesperson Jen Psaki said those concerns "haven't change" and defended that State Department's timing. "Designating an organization as a foreign terrorist organization is just one tool," she said. "Obviously, the rise of Boko Haram, their increasing acts of terrorism around Africa, is something that we've been watching closely. It's something that Secretary Clinton and her team were watching closely. Obviously, with the tragic events with the kidnapping of the Nigerian girls, the world is now watching this, including many across the United States, more closely." Still, leveraging more of the U.S. military's intelligence, surveillance and reconnaissance assets in West Africa years ago might have helped identify more of Boko Haram's top leaders, despite the decentralized structure of a group which receives funding and some training from Algeria-based al Qaeda in the Islamic Maghreb. "We only have the names of a few in Boko Haram's leadership," Carson said. Despite the policy debate, the issue has turned political this week, with Republicans saying Thursday that potential 2016 presidential candidate Hillary Clinton should have acted against Boko Haram earlier than 2012. "It's sad that then-Secretary of State Hillary Clinton refused calls to designate al Qaeda-linked Boko Haram as a terrorist organization, " said Republican National Committee Chairman Reince Priebus. "A proactive decision by Clinton would have given our government additional tools in combatting a terror organization that has abducted hundreds of innocent girls in Nigeria." Today the Obama administration called for additional United Nations sanctions against Boko Haram, a senior administration official told ABC News.